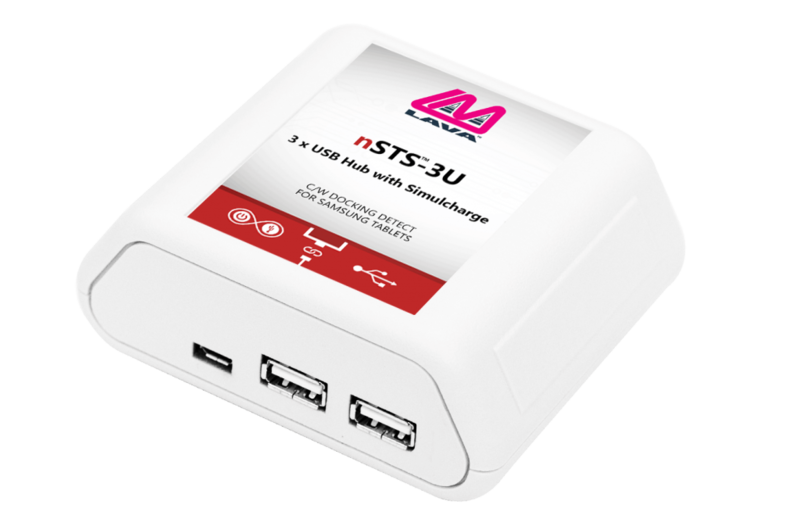 The nSTS-3U is an adapter for Samsung tablets* that features 3 x USB 2.0 (Type-A) port, Simulcharge technology that lets tablets charge and at the same time support USB peripherals, and the newest LAVA development adds Docking Detect for automatic tablet and LAVA board connection. The adapter comes with an enclosure. The nSTS-3U operates a tablet in SimulCharge mode. This technology allows the charging of the selected Samsung tablets while interacting with USB accessories.